A committee that advises the government says that details of two controversial experiments on bird flu virus should not be made public, because of fears that the work could provide a recipe for a bioweapon. 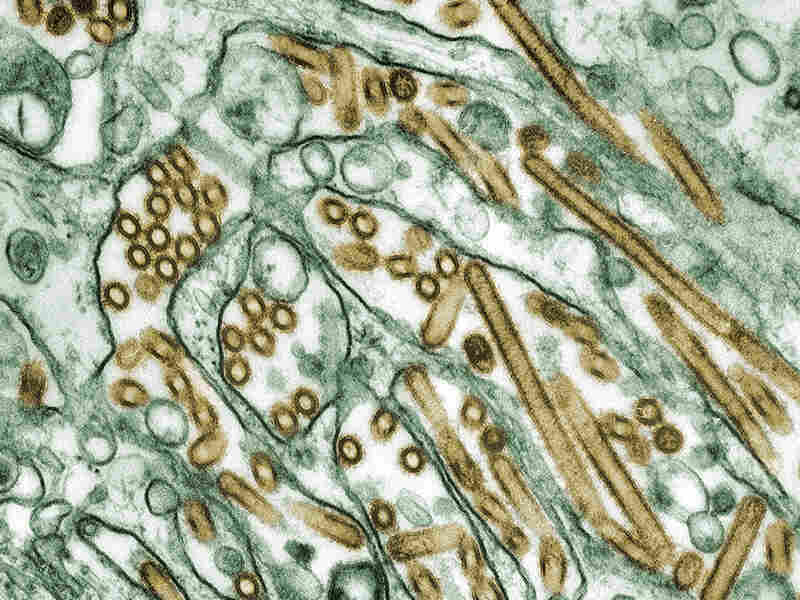 The government-funded experiments were done by researchers who wanted to understand if bird flu virus might change in the future to cause a pandemic in people. By tweaking genes, they made the deadly bird flu virus more contagious between lab animals. In a landmark decision, an expert panel known as the National Science Advisory Board for Biosecurity, which advises the government, says key details of the work should not be published openly. This is the first time such a recommendation has been made even though the scientific community has discussed concerns about the potential misuse of biological research since the 2001 attacks and subsequent anthrax mailings. The life sciences have traditionally had a culture of openness, with all experiments published publicly so that others can replicate and learn from them. In a statement announcing the committee's decision, the National Institutes of Health said the government will set up a new system to give the worrisome bird flu information only to legitimate public health researchers. The Department of Health and Human Services agreed with the assessment and passed it along to the scientists and journals. The recommendations of the committee aren't binding on science journals and on the researchers themselves, who still could choose to publish their work. The researchers and the journals involved appear to be taking the advice of the expert committee seriously. But they await details on how the government will ensure that legitimate researchers still have access to the information, despite the security concerns. One of the experiments was done by Ron Fouchier of the Erasmus Medical Center in the Netherlands and his colleagues. In a statement released today, the medical center said that "the researchers have reservations about this recommendation but will observe it." The statement from Erasmus Medical Center notes that "that confidentiality is almost impossible given the fact that the data has to be shared with hundreds of researchers and governments. Furthermore, academic and press freedom will be at stake as a result of the recommendation. This has never happened before." The other experiment was led by researchers at the University of Wisconsin-Madison. In a statement, the university said that "the recommendations made by the National Science Advisory Board for Biosecurity have been communicated to the University of Wisconsin-Madison and the researchers here studying the H5N1 avian influenza virus. As they work with the journal to make the research available to the scientific community, the investigators will respect those recommendations." "We have noted the unprecedented NSABB recommendations that would restrict public access to data and methods and recognise the motivation behind them. It is essential for public health that the full details of any scientific analysis of flu viruses be available to researchers. We are discussing with interested parties how, within the scenario recommended by NSABB, appropriate access to the scientific methods and data could be enabled." The journal Science is considering publishing Fouchier's paper and the editor-in-chief of Science, Bruce Alberts, said his journal is still evaluating how to proceed. He says the editors want to ensure that all responsible scientists will have access, even those overseas, because the work could speed development of new treatments. He noted that the journal's final decision will depend heavily on further steps taken by the government.